Did you know that Skincare Sunday is an actual thing? Yep, an actual thing. Well, okay, maybe just in my house. But still, it’s a regular occurrence and one of my favourite days of the week. Sunday is the day when I have a bit of a pamper to prepare for the week ahead. I tend to do a lot of my blog writing, freelance work and admin on Sunday’s and I love nothing more than doing it while giving my skin a treat. It’s also why I advise against visitors arriving unannounced on Sunday’s, as I’m likely to be found in my joggers (typical blog attire) with at least one form of face mask on. And recently my face mask of choice has been the Dermalogica Charcoal Rescue Masque. 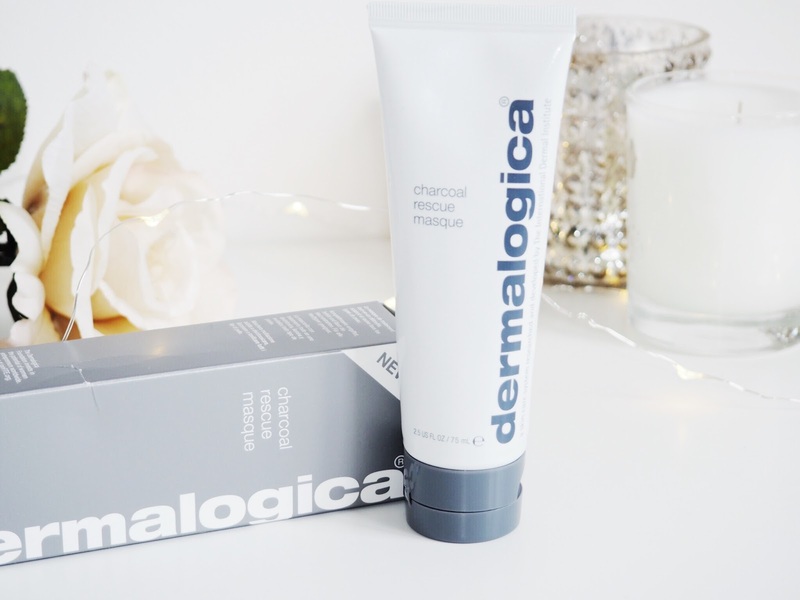 It’s no secret that I LOVE Dermalogica and I swear by their products for my skin, in fact I only talked about them a little while ago on My Beauty Shelfie. 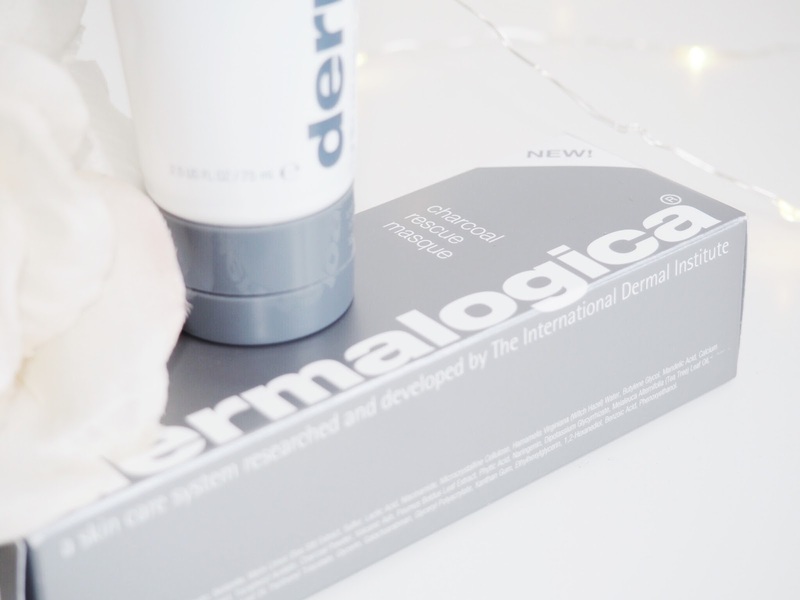 Over the years Dermalogica products have helped me battle problem skin as it’s evolved from hormone related breakouts, to it’s current state of being far more oily than I would like. Their products are staples in my skincare regime and they are my go-to brand when I need to see lasting results in my skin. 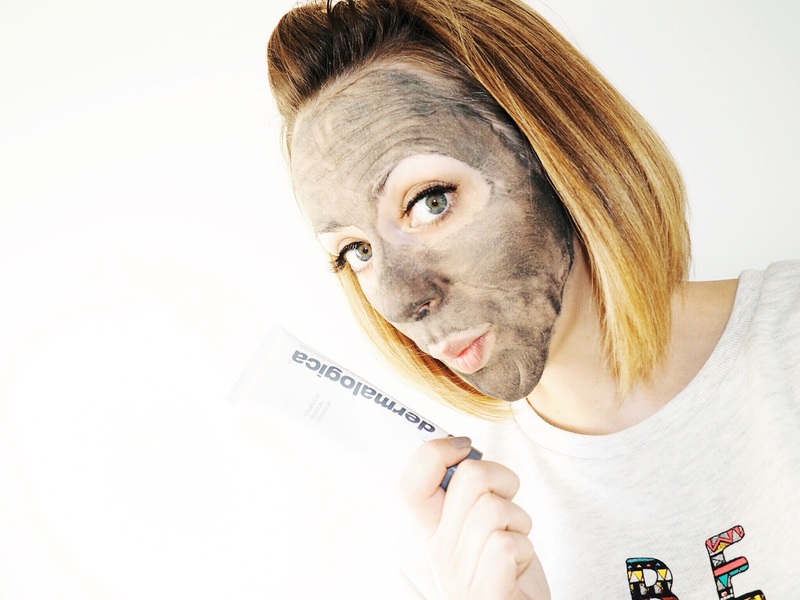 Which is why I was so excited to try their newly launched Charcoal Rescue Masque. 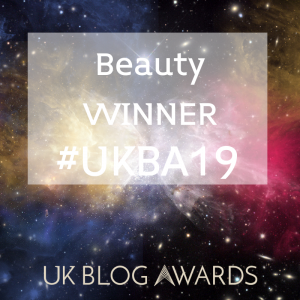 First up, the fact that it’s a charcoal based product means that I was instantly holding out high hopes for this – lets face it, oily skin vs charcoal seems like a no brainer. I was pretty sure that the charcoal would neutralise the excess oil on my skin, and that was without even reading anything on the masque and how it works. The masque itself is an all-in-one treatment that is designed to detoxify, brighten and invigorate all skin types. 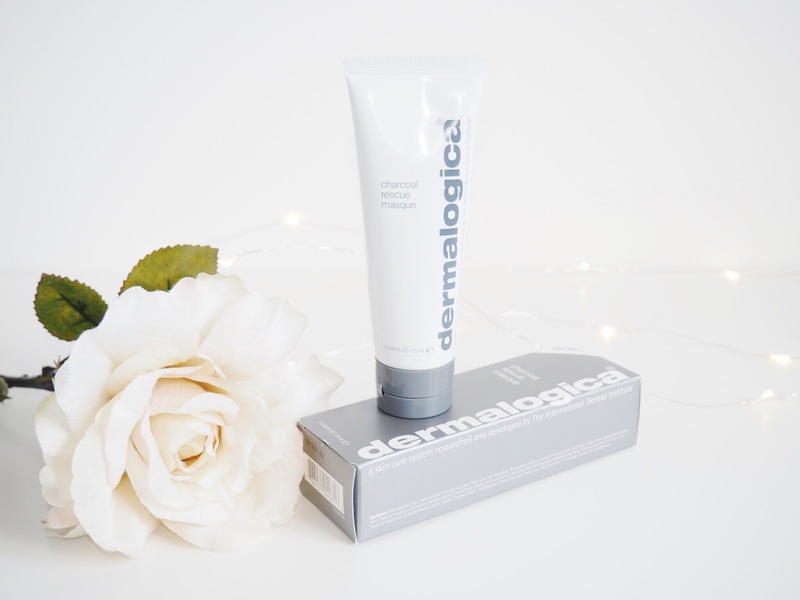 The Dermalogica website says that the “Binchotan Charcoal powerfully absorbs impurities while Sulfur promotes cell turnover for dramatically brighter skin.” Along with the list of other ingredients, including volcanic ash, sea salt and bamboo extract, this product works to absorb impurities but also acts as an exfoliator afterwards too. There’s also niacinamide to help reduce congestion and calm your skin, and Chilean wild mint to help refine pores…So basically, it’s a great all rounder that covers every base. Like any face mask, you need to have cleansed your face fully before using this. It’s pointless whacking on anything that’s intensive if you’ve not ensured your face and neck is clean, cleansed and prepped. It’s like building a house without any foundations…well, kind of anyway. As I’ve been using this as part of my Skincare Sundays regime, I’ve been using various other products first to ensure my skin is clear and ready to absorb as much of the product in the right way – I can say first hand that when you don’t use face masks properly, on clean and prepped skin, that they actually have the opposite affect, and cause more breakouts and can potentially make your skin worse than before. So it’s key to make sure your skin is prepped properly, especially when a product like the Charcoal Rescue Masque is offering to do as much as it says. After your 7-10 minutes you wash off the masque, but it’s important to have very wet hands when you do this as the key to removing the masque is through exfoliation by lightly massaging your skin as you go. There are salty sized particles in the masque itself that act as the exfoliator – the affects of which can only be enjoyed if you actually exfoliate them off. This takes a couple of minutes max, and then you just rinse off your face and voila. So, what are the results like? 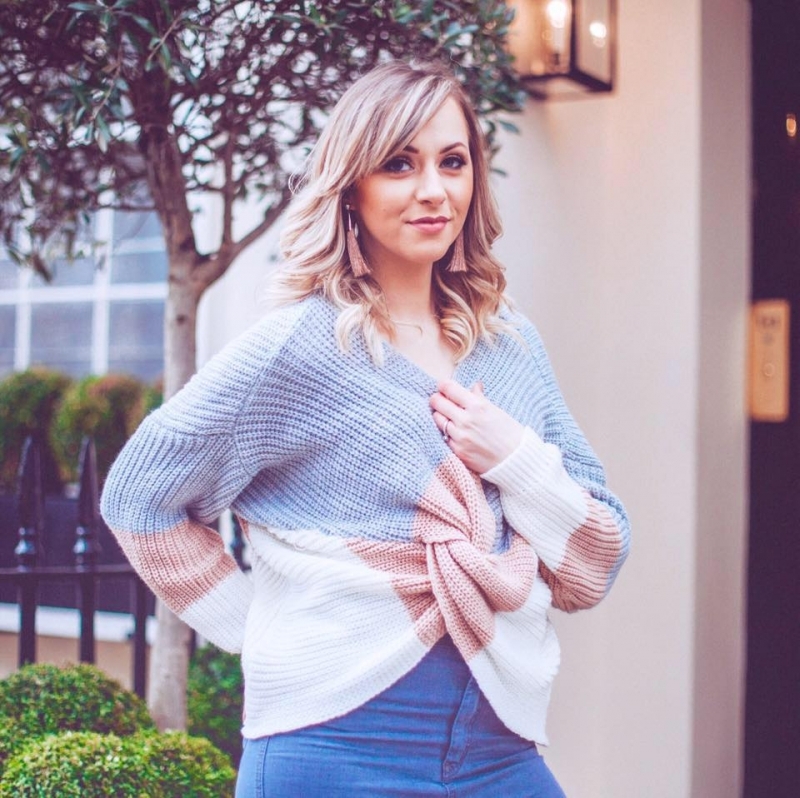 Well, first off some people have said that your skin might be a bit pink immediately afterwards – that’s quite normal after exfoliating your face anyway?! After applying moisturiser, within minutes the pink is gone. So there is nothing unusual about that at all. The actual skincare affects that I’ve noticed is my skin being oil free… THANK YOU GOD! Okay, thank you Dermalogica! It also feels softer to the touch but also looks softer too, as well as looking more plump and smooth. To me the Charcoal Rescue Masque gives me all over healthier looking skin, which is exactly why I would use a face mask. My pores feel clean and the combination of ingredients that soak into the skin while the face mask develops, along with the exfoliating method of removal makes my skin feel fresh and like I’ve removed the top layer of nasty skin cells that block my face and make me feel like my skin is clogged. But for me the biggest pro-point is the fact that it’s actually helping to fight my oily skin. It absorbs the excess oil, exactly as I hoped it would, but also I noticed that after using it my skin is less oily than normal for several days. Which is an absolute winner for me right now, and is also why I’ve been using this weekly for the past three weeks and will continue to do so. So, if you live a busy life and you’re looking for a good all round face mask to detoxify your skin and give it a plump, fresh and clean look then I highly recommend trying this product. Likewise, if you suffer from oily skin then this rescue masque is a lifesaver.